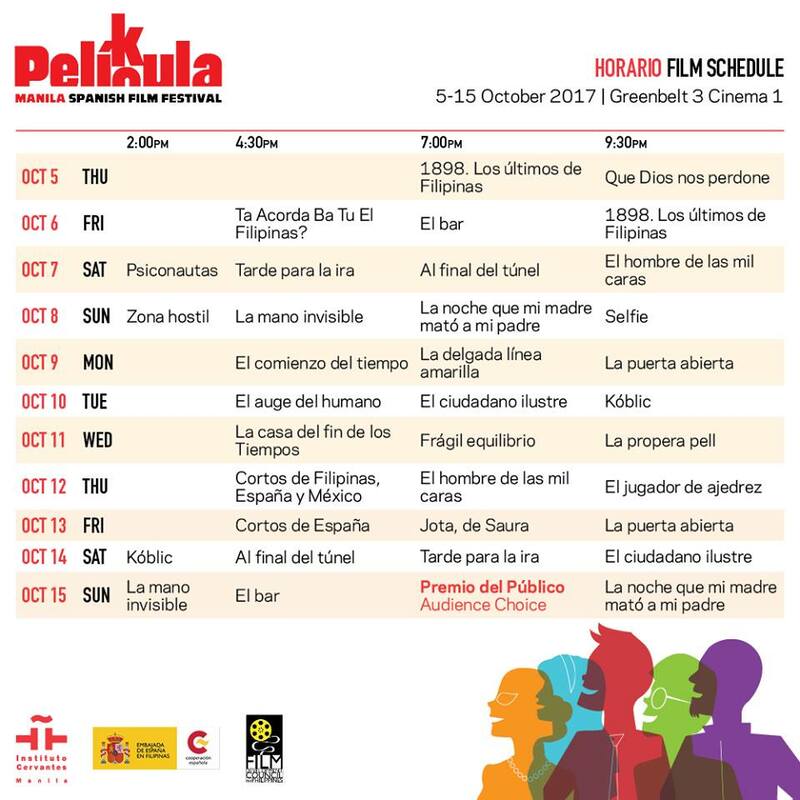 The PELÍCULA-PELIKULA event is organized by Instituto Cervantes Manila with the collaboration of Embajada de España en Filipinas, the Ayala Museum, the Film Development Council of the Philippines (FDCP) and Ayala Cinemas. The event has been annually held since 2002. To make the event more special, there have been rumors that some of the filmmakers will personally conduct a visit of their own. Salvador Calvo is scheduled to open the Festival with his movie "1898, Los últimos de Filipinas" while Spanish director, Sally Gutiérrez of the film "Ta acorda ba Tu el Filipinas?" will present the film on October 6, 4:30 pm. Labels 1898 Los últimos de Filipinas, Ayala Cinemas, Ayala SureSeats, Film Festival, Greenbelt 3, local, Manila Spanish Film Festival, movie news, Pelicula-Pelikula, spanish, Ta acorda ba Tu el Filipinas?